A widely held belief is that wearing high heels causes back pain. This thought process has become so widespread that it is simply taken as fact. However, this may not necessarily be true. The theory behind high heels causing back pain relies on the thought that wearing them causes strain in the thighs and hip flexors which forces an increased curve in the spine, and this increased curvature of the spine causes back pain. Having never worn high heels, I cannot say for whether or not this is true; but, from what I’ve read and experienced with my patients, I’m not so certain that this is correct. As a matter of fact, I’ve had several patients with back pain and pinched nerves tell me that specifically wearing high heels has helped relieve their pain significantly. So, when there is controversy and uncertainly, one must turn to the medical literature (and not just google) to try and find the truth. In my review of the literature, I found several studies attempting to scientifically qualify whether high heels cause back pain and through which mechanism. The most impressive study I found was published in the Journal of Chiropractic Medicine in 2010, by Brent S. Russell, D.C.1. This article provides a thorough review and analysis of the medical literature available regarding this subject. He concludes that the literature does not support the theory that wearing high heels causes back pain or increases the curvature of the spine. Furthermore, he proposes that both back pain and the wearing of high heel shoes are common and this makes it very difficult to determine a definitive causal relationship. While it is unclear whether high heel shoes may or may not cause back pain, it is common for high heels to exacerbate an already present spinal condition. Particularly in the patient who has arthritis or muscular strain, the increased stress and workload put on the spine after a long day of walking on high heel shoes will likely aggravate the pain. This pain in the back may also result from foot or leg fatigue that results from wearing these shoes and this can affect whole body mechanics. On the other hand, I’ve had more than a handful of patients with pinched nerves tell me that they feel much better while wearing high heels and I presume this is likely due to an indirect spinal decompression from the altered posture created by the shoes. In conclusion, I’m not sure if I’ve cleared anything up here but it is safe to say that there is no clear evidence that wearing high heels causes back pain. That being said, I would recommend wearing shoes with good arch support and cushioning if you do have a pre-existing back condition as they may limit the increased stress on the spine. 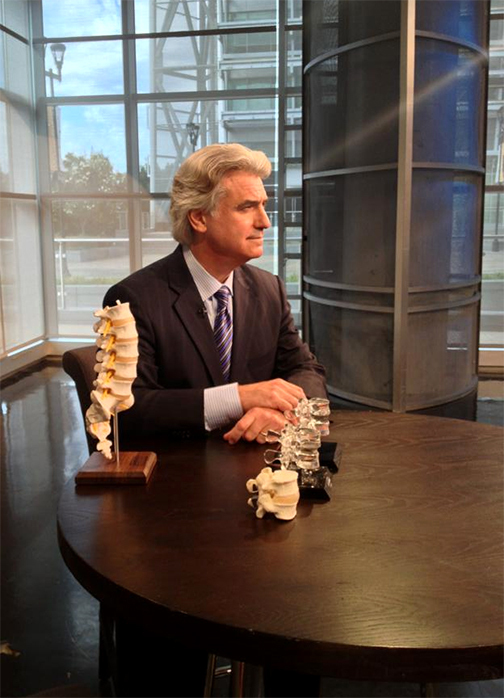 Dr. John Peloza was on WFAA-TV’s “Good Morning Texas” discussing minimally invasive, innovative treatments for back and neck pain. 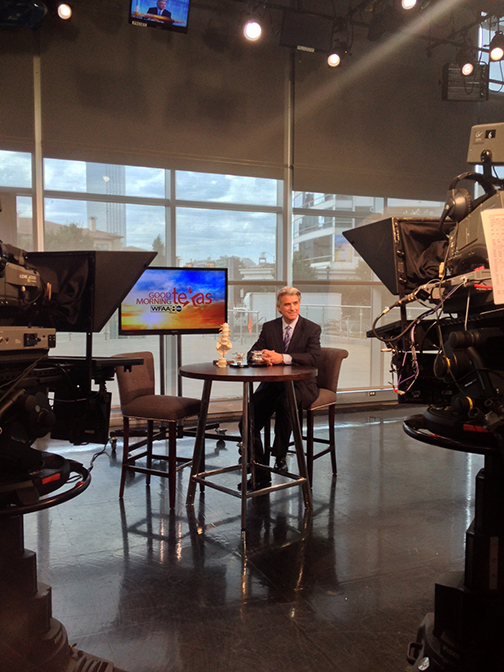 Watch his interview and feel free to share! John Peloza, M.D. has been named one of the Best Doctors in America® for 2013. Dr. Peloza has consistently received this prestigious honor every year since 2001. The highly regarded Best Doctors in America® List, assembled by Best Doctors, Inc., results from exhaustive polling of over 45,000 physicians in the United States. In a confidential review, current physician listees answer the question, “If you or a loved one needed a doctor in your specialty, to whom would you refer?” Best Doctors, Inc. evaluates the review results, and verifies all additional information to meet detailed inclusion criteria. Best Doctors has earned a sterling reputation for reliable, impartial results by remaining totally independent. Doctors cannot pay to be included in the Best Doctors database, nor are they paid to provide their input. The List is a product of validated peer review, in which doctors who excel in their specialties are selected by their peers in the profession. Over the past 20 years, Best Doctors has earned global acclaim for its remarkable database of physicians, regarded as the world’s premier effort to create a validated, peer-reviewed database of excellence in medicine. The Best Doctors methodology is rigorously impartial and strictly independent; only those doctors recognized as the top 3-5% of their respective specialty earn the honor of being named one of the Best Doctors in America. The experts who are a part of the Best Doctors in America database provide the most advanced medical expertise and knowledge to patients with serious conditions – often saving lives in the process by finding the right diagnosis and right treatment. “It’s incredibly rewarding to know so many of my respected peers across the country continually recognize me as an expert in the field of spine surgery,” says Dr. Peloza. Founded in 1989 by Harvard Medical School professors, Best Doctors, Inc. is transforming and improving health care. The global company, headquartered in Boston, serves more than 30 million members in every major region of the world. Best Doctors works with the best five percent of doctors to find the right diagnoses and right treatments, and seamlessly integrates its trusted services with employers’ other health-related benefits. In addition to its clinical advocacy in the US, Best Doctors designs and implements international insurance programs that help people be sure they get the best care, and the right care. For further information, visit Best Doctors at www.bestdoctors.com, Twitter, Facebook, and LinkedIn, or call (800) 223-5003. Recently a popular medical health TV show, “The Dr. Oz Show,” discussed epidural steroid injections including several concerns with this procedure. Unfortunately, the show focused on a limited undercover report and shared little of the evidence-based data to back their claims of the “dangerous nature” of these injections. It is important to address these concerns with current evidence based data. Are Epidural Steroid Injections Beneficial? Multiple studies have found epidural steroid injections to be beneficial in treatment of certain types of spinal pain. The most common indication for epidural steroid injections is pain radiating from the spine to a limb, known as radicular pain. This pain is typically caused by inflammation or compression of a spinal nerve root. The degree of radiation of pain can vary from patient to patient; therefore, adequate diagnosis requires a thorough history, exam and correlation with imaging such as an MRI. Other causes of spine pain that have been shown to respond to epidural injections include spinal stenosis, painful discs and facet pain. In a recent review of numerous studies regarding epidural steroid injections, strong evidence was found for the management of pain from herniated lumbar and cervical discs and acute or persistent nerve root pain with epidural steroid injections. There is moderate evidence for the use of epidural steroid injections for the treatment of discogenic pain, pain from spinal stenosis and facet joint pain. Evidence based data shows typical duration of benefit from epidural steroid injections between 6-12 weeks. Thus, when adequate criteria is used when choosing this technique, there is strong evidence for improvement in pain on a short to moderate term basis. Epidural steroid injections have been shown to be an efficacious component to conservative management of spine pain. Thorough patient evaluation is key to identifying conditions that typically respond to this therapy. As with any medical therapy, a certain level of risk is involved with epidural steroid injections. This risk is greatly decreased when performed by a well-trained physician using appropriate imaging and standard safety precautions. Allen Dennis, M.D. is a Pain Management physician double board certified in anesthesiology by the American Board of Anesthesiology as well as subspecialty boarded by the American Board of Anesthesiology in pain management. 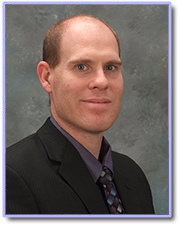 He has extensive experience in the areas of minimally invasive spine medicine and brings a depth of knowledge and experience to CSC in this area. Constant lower back and leg pain were affecting Judy’s everyday life. Lower back and leg pain can be caused by a variety of reasons including a herniated disc or irritated nerves. CSC’s Michael J. Musacchio, Jr., M.D. performed a minimally invasive procedure on Judy which provided minimal disruption to the muscles and helped her recover quickly. Now Judy says she is “in absolutely no pain!” and can “run, bend and exercise!” Do you have lower back pain, leg pain or know someone who does? Watch her story here! Often a herniated disc in the neck can not only be painful, but it can alter your daily activities too. Herniated discs in the neck can cause pain and numbness in the arm and hands, making it difficult to do a lot of things we take for granted. One CSC patient who experienced this faced a serious challenge when she was no longer able to do what she loved most: riding her beloved horses. 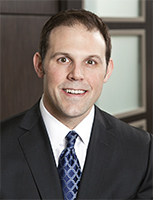 CSC neurosurgeon Michael J. Musacchio, Jr., M.D. , who specializes in minimally-invasive spine surgery, was able to perform a modern technology on her. 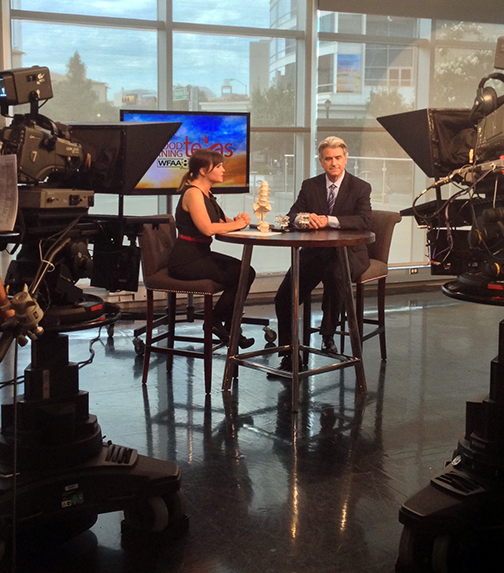 Recently Dr. Musacchio and this patient were featured on the Best Docs Network television show. Watch here! Fans of the television show “Dancing with the Stars” are well aware that former Olympic ice skating gold medalist, Dorothy Hamill, has withdrawn from the competition due to a spine injury described as a synovial cyst. While synovial cysts are actually quite common in the spine, they are probably less known than the more common disc bulges or bone spurs. Like disc bulges and bone spurs, synovial cysts can cause back and leg pain that can be quite severe. Synovial cysts are benign cysts that develop as the lining of the joints in the spine (aka the synovium) degenerates over time due to wear and tear. They can be quite small and not cause any clinical symptoms, but they may also grow larger and cause nerve pain or back pain. Classically, they develop in an arthritic joint that has developed instability and the abnormal motion of the joint causes it to form these degenerative cysts. Much like a herniated disc, they can cause pain or even nerve damage and it is important to diagnose them and properly treat them. The treatment of synovial cysts depends on how big of a problem they are causing for the patient. In patients who have minor aches and pains without significant neurologic pain, typically diet and exercise with avoidance of high impact activity such as running or lifting heavy weights (or in Dorothy Hamill’s case, Competitive Dancing!) is enough. 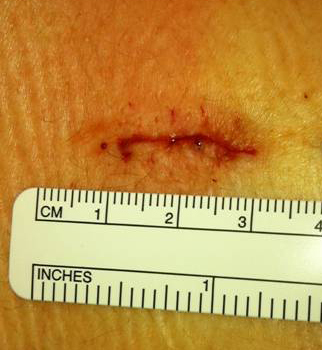 When symptoms become more severe, physical therapy and steroid injections may play a role. Ultimately, when symptoms are severe and have failed to respond to conservative treatment, minimally-invasive surgical options are available to remove the cyst and relieve the pain and disability. We diagnose synovial cysts on a daily base at Center for Spine Care, sometimes they are found incidentally on MRI’s for some other reason and other times as the primary source of the patient’s pain. As always, if you are having persistent or severe back pain an evaluation by a spine specialist can help ensure proper treatment and avoidance of neurologic injury. It is important to note that we at Center for Spine Care are not involved in any way with Dorothy Hamill’s care.